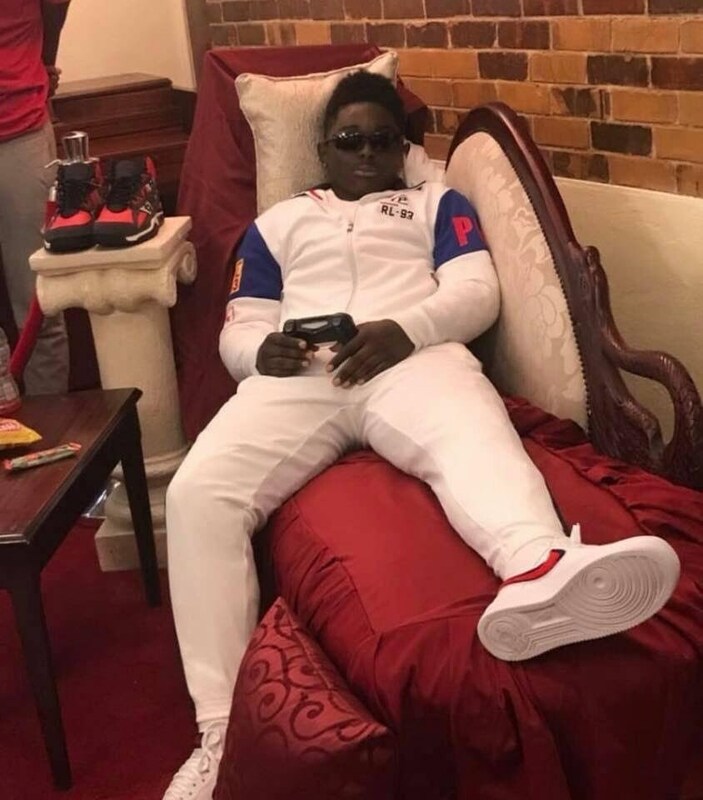 A dead man has been dressed as though he is playing a video game at his burial ceremony. 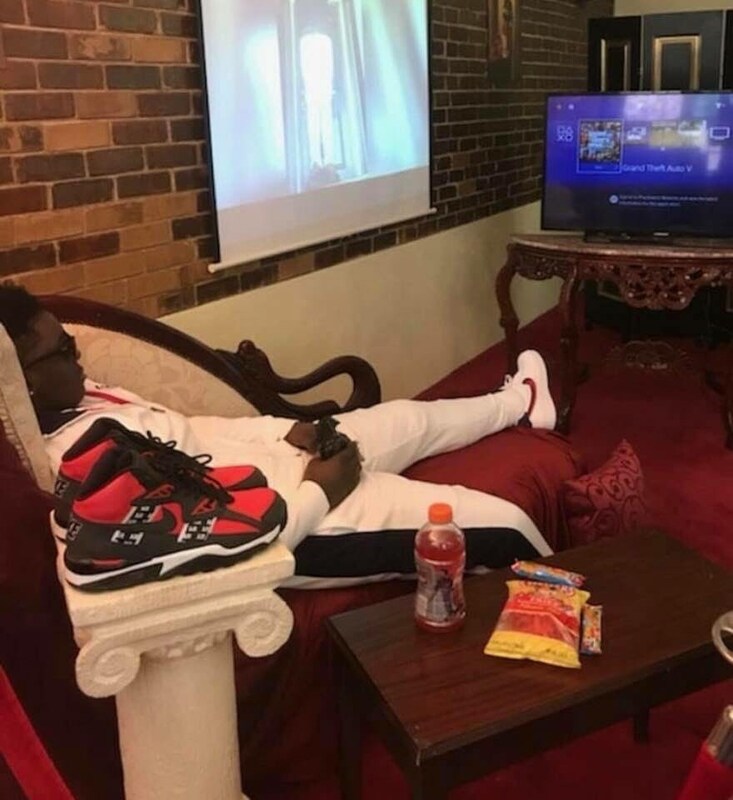 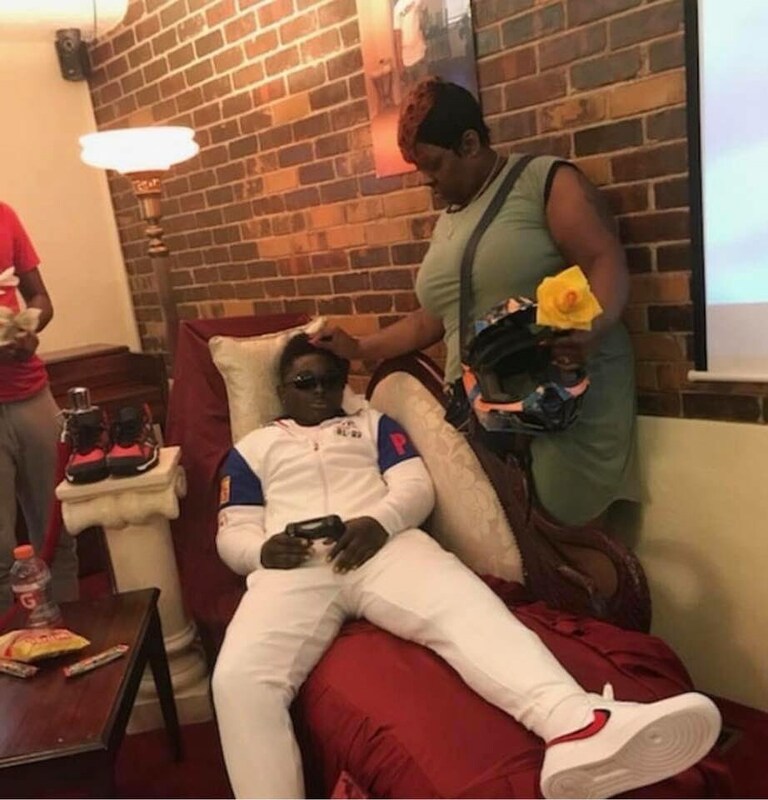 The body was made to sit on a couch holding a Game pad with Glasses and TV Facing him. 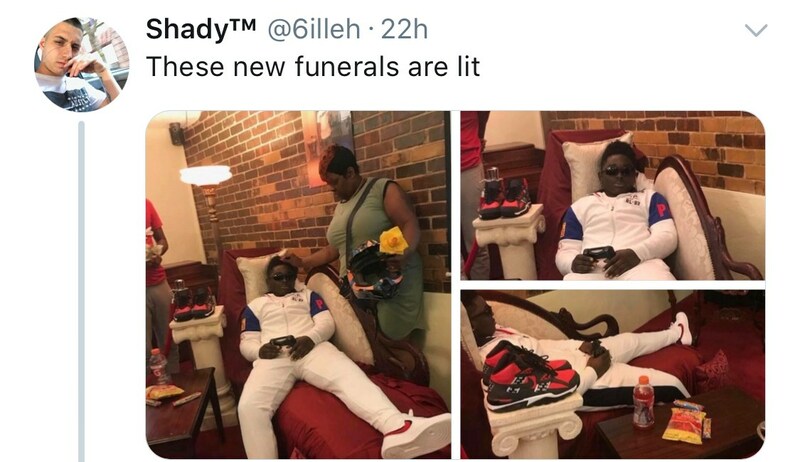 The photos were shared with the caption "These new funerals are lit".